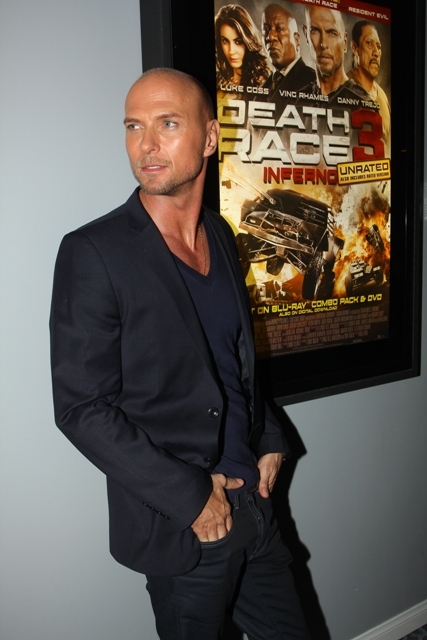 In “Death Race 3: Inferno,” we learn more about the development of Luke Goss’s Frankenstein character, with some interesting twists along the way. Luke discusses his character on set in South Africa with Bullz-Eye’s Paul Miller. Fred Koehler has been in all three Death Race films and he discusses the development of his character on the set of “Death Race 3: Inferno” with photographer Paul Miller. Here at Bullz-Eye.co we’re huge fans of Danny Trejo. he’s appeared in some great movies over the years, like “Machete” and “From Dusk Till Dawn.” He’s also appeared on some of the best shows on television with “Breaking Bad” and “Sons of Anarchy” among his credits. 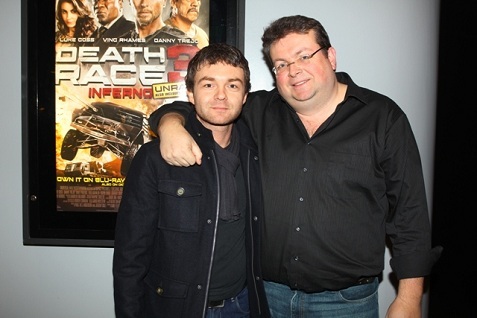 We interviewed Danny for “Death Race 2” and now had another opportunity to speak with him on the set of “Death Race 3: Inferno” as you can see in the video below. As you can see he’s a great guy and he’s fun to talk to. Above you can see Danny posing with the lovely Nav Girls from the film.